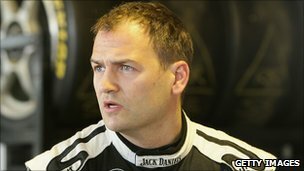 Former Formula Three driver Ben Collins has won a legal fight to publish an autobiography in which he claims to be The Stig - the mystery driver on the BBC's Top Gear show. But who is he? 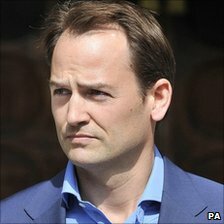 Read through Ben Collins' CV and it is easy to see how the term "action man" could have been invented just for him. He is best known as a professional racing driver, but add to that child swimming star, former soldier, James Bond and Hollywood stunt man, journalist, presenter, triathlete and marathon runner. 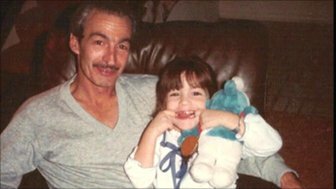 The Bristol-born 35-year-old spent his first 10 years in California where his father worked. He displayed natural sporting talent from an early age. He won his first three heats at a California state swimming competition aged five, and became an Olympic standard swimmer for his age group by age nine, before returning to the UK. Collins was still a teenager when he made his first foray into motor sports in 1994, and built a reputation as a fast and determined competitor. He won prizes at various levels, starting out in Formula Ford, Formula Vauxhall Junior and the Formula Opel Winter Series, before progressing to Formula Three by 1996. Sir Jackie Stewart, the three-time Formula One World Championship winner, tipped him as a future star and he impressed peers with his podium results, finishing fastest in his class in the 2001 Le Mans 24-Hour classic. He has also tested for Formula One and driven in World Sportscars and European Ascar oval racing, winning six of 12 rounds in the latter. Former F1 driver Martin Donnelly called him "an aggressive driver with phenomenal natural speed". And his former F3 team manager Glenn Waters reportedly said: "I think Ben may well be the fastest driver I've ever run and that includes some class acts like Donnelly, Russell Spence and Damon Hill." Last year, Collins continued to race competitively, becoming a driver for an Australian V8 Supercars team. Away from the race track, Collins has worked as a precision driver in at least two Hollywood films. He was a stunt double for Nicolas Cage in his 2007 film National Treasure: Book of Secrets, and then for Daniel Craig in the 2008 James Bond film Quantum of Solace. He also presented Xtreme Teen Drivers on BBC Three in 2007 - a TV show trying to teach young boy racers to drive more safely. Less is known about his private life and the timing of his military career. According to the Gordon Poole Agency, which promotes his work as a public speaker on sport, Collins served in the Army for four years and keeps fit by competing in triathlons and the London Marathon. He still lives in the city of his birth. A lottery system for school places in Brighton failed to give poorer children equal access to top schools, academics say.